Safari is getting an update that will prevent those annoying ads that follow you from one website to the next as you browse the internet, encouraging you to hurry up and buy that one item you looked at on Amazon two weeks ago. 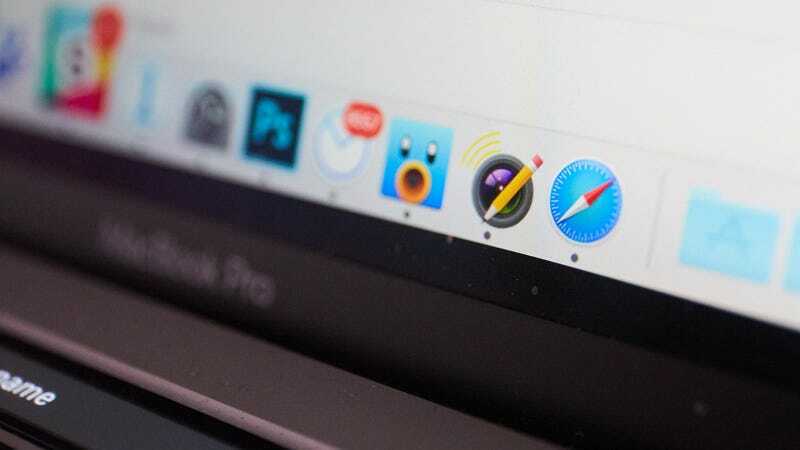 Craig Federighi, Apple’s senior vice president of software engineering, announced the tweak at Apple’s developer conference today—and the promise of it is enough to make me want to switch back over from Chrome. Apple is calling the update “Intelligent Tracking Prevention” and users will get to experience it when the latest macOS, High Sierra, rolls out later this year. Intelligent Tracking Prevention is Apple’s attempt to better utilize cookies and claw back users’ privacy from intrusive websites without totally breaking third-party logins—striking an elegant balance between privacy and convenience. To understand how Intelligent Tracking Prevention works, you first need to know how all those ads follow you around the internet in the first place. Advertisers use third-party cookies to track you as you click from from Amazon to Facebook to Asos and back again, and these cookies let advertisers learn about the browser you’re using and the kinds of items you’re shopping for. But these same kinds of cookies allow for, as Apple calls them, “‘Sign in with my X account on Y’ login scenarios”—so Apple can’t ban them altogether without creating headaches for users who sign into other sites using their Facebook or Google accounts. In the first 24 hours after you visit a particular website, cookies are fair game (so you might notice ads for an item immediately after you looked at it). After one day, Safari will partition cookies so they can still be used for logins but not for cross-site tracking. After 30 days, all cookies are purged and users will need to log in again. “This means users only have long-term persistent cookies and website data from the sites they actually interact with and tracking data is removed proactively as they browse the web,” John Wilander, a WebKit security engineer at Apple, wrote in a post for Apple. “Many users feel that trust is broken when they are being tracked and privacy-sensitive data about their web activity is acquired for purposes that they never agreed to,” Wilander wrote, adding that the changes to Safari are intended to help rebuild that trust. Apple isn’t the only company trying to cut back on annoying ads. Google is considering rolling out ad-blocking in Chrome, and there are already a number of browser add ons that can do the same. But as Federighi stressed during his keynote, Safari isn’t getting an ad blocker. Users will still see ads—just not the same ad, over and over again, for a product they recently viewed in an online store. To further combat obnoxious ads, Federighi announced at the keynote that Safari would also block auto-play video ads. Auto-play videos will be paused in Safari until a user choses to push play. Chrome has also targeted auto-play videos, but reportedly only blocks videos delivered via the Flash plugin, meaning that HTML5 videos can still play uninterrupted.